Simply Click on the annimated image on the left for a FREE PREVIEW of the new Tobacco Products International DIGITAL EDITION - with full editorial content, searchable articles, and lots of exciting new features for our subscribers! A visit to Maison LeMaire Tobacconist. A conversation with Piotr Grzywinski, Export Manager for Gizeh Rolling Papers. With precision, class, and control, Gilles Rochon builds cigars with gusto. 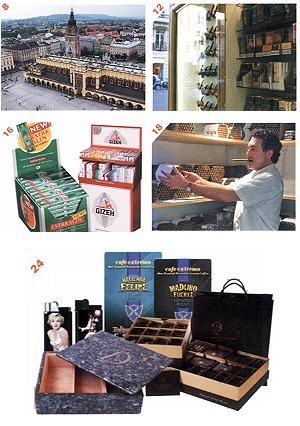 One of Europe�s oldest tobacco companies celebrate 120 years of success.